Professional steam carpet cleaning in London is one of the two methods we apply in order to yield consistent, high quality cleaning results, and have your carpets perfectly sanitised with no risk of damage or alteration. Steam carpet cleaning is perfectly safe for all types of synthetic and natural fibre carpets, the cleaning equipment and materials we apply will not cause damage or alteration to the carpet’s fibres, colours, dimensions, shape or comfort and insulation properties. Our London steam carpet cleaning service is also the most effective way to clean carpets throughout your home or office and maintain that perfect hygiene for longer. How does this work? Steam carpet cleaning is arguably the most effective, nonchemical way to clean throughout the depth of the carpet, all the way down to its base layer. This is especially important, as the most dirt, grime and bacteria are found near the bottom of the carpet, as they are driven down by everyday foot traffic. Our specialised steam carpet cleaning service in London is also the quick and affordable way to rejuvenate high traffic areas of the carpet such as around the front door, the hallway and the stairs which are usually dull, compacted and appear to be heavily worn. When it comes to stains and soiling, we strongly urge customers to refrain from using homemade cleaning treatments of dubious effectiveness, as these are likely to cause damage to the carpet, or make the stain harder, even impossible to remove. Carpet soiling, and staining of organic and chemical nature will be no match for our industry grade steam cleaning equipment which is specially designed and calibrated to allow for a swift, risk-free stain removal from any type of carpet. 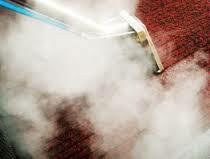 Our specialised London steam carpet cleaning service will not cause damage to the carpet’s fibres and their properties. 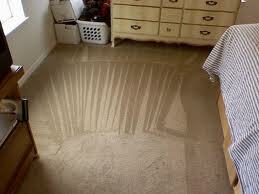 However carpets which have sustained heavy mechanical damage i.e. they are torn, or their structure is compromised – bottom layer coming apart from the rest of the carpet for instance, will not be subject to steam cleaning as this may make matters worse. Apart from that, our steam cleaning is perfectly safe and will yield exceptional quality cleaning results on all carpets. The cleaning process is nontoxic and ecofriendly as it uses the natural cleaning power of hot steam. The steam cleaning is performed by specially trained, qualified cleaning technicians who will complete the task safely and timely.